When you turn the handle, the images of a galloping horse slide by. 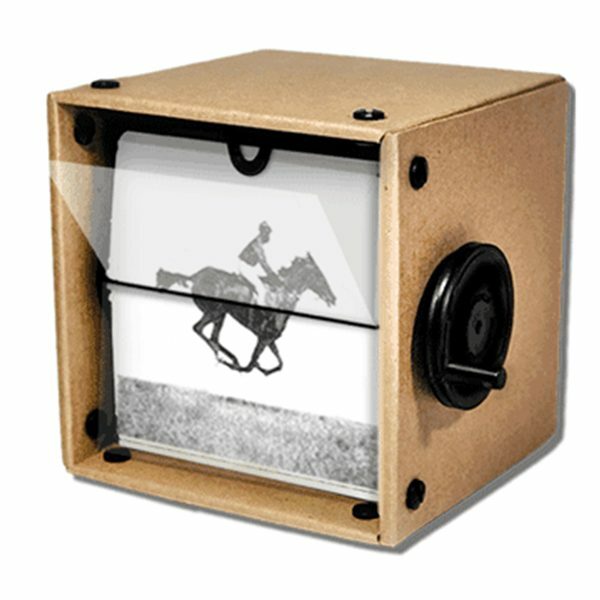 The zoopraxiscope is an image projector, invented in 1872 by the English photographer Edweard Muybridge to provide an answer to an enigma: “Do galloping horses lift all four legs from the ground at the same time?” This problem was solved by placing photographic cameras along horse racing tracks and then making the images succeed each other in a fast sequence. The result confirmed the hypothesis: horses do lift all four legs from the ground for a moment when galloping. Muybridge later obtained the patent for this device. 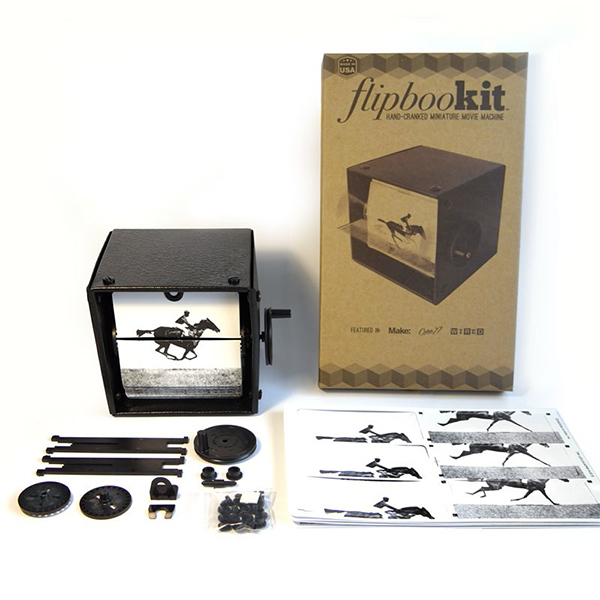 Flipbook Kit box complete with instructions.